We hated our house for much of the past five years we lived in it. Located in a suburb of New Jersey, it was too far from where we worked. It was also old, with an outdated kitchen we couldn’t afford to fix. And, oh yeah, as our family grew, it became way too small. So when my husband was transferred to London for this summer, it seemed like a no-brainer to put the place on the market. Good riddance! And yet, while preparing our home for sale, something strange happened: We started noticing things about our home that were always there, but that we’d become blind to over the years. Granted, this awareness arrived in part because our real estate agent made it clear that many of the things we’d let slide wouldn’t fly with potential buyers. Yet other things we became conscious of made us realize that in spite of our home’s many flaws, we’d miss this place after we’ve moved on. Maybe a lot. Whenever the time comes to sell your own home, you may have the same bittersweet epiphanies while walking those halls you thought you knew so well. To give you a sense of what may be in store, here are some things about our house we’d never noticed before putting it on the market. Wow, so many ‘My Little Pony’ stickers! We tried to stop her. 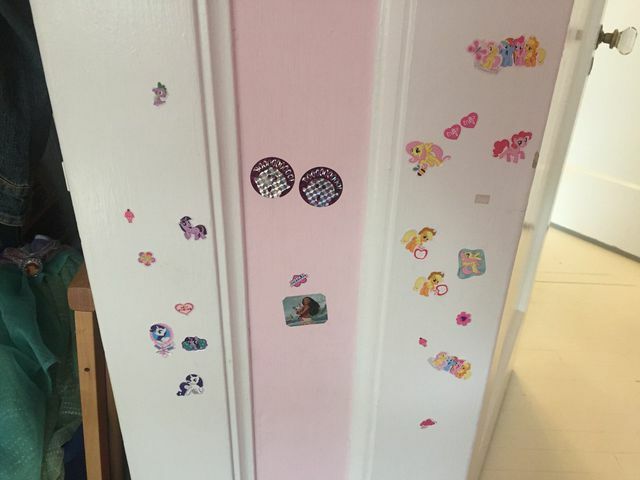 Every time our preschooler came home with a pack of stickers, she peeled them, one after the other, and stuck them on the walls. They are on our kitchen cabinets, the trim in the dining room, the hardwood floors… The sheer volume of the stickers was something we didn’t fully consider until the first walk-through with our listing agent. “That’s a lot of stickers,” she said. Sadly, most buyers aren’t looking for Pinkie Pie, Fluttershy, Rainbow Dash, and the gang to be part of the sale. So we started peeling them off the walls, feeling a little sad each time we scraped one off. What happened to our ceiling? 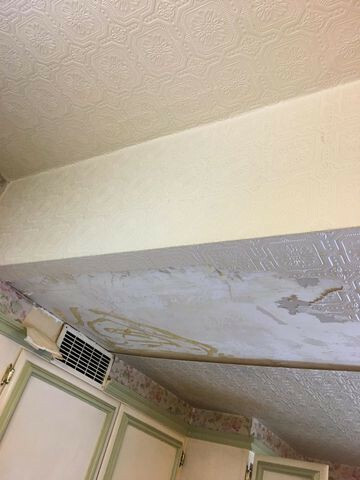 The ceiling before we fixed it. Our house had wallpaper on the walls and the ceiling; however, thanks to an unfortunate incident with a storm and our stove vent, much of it had sagged off. Weirdly, though, it never bothered us until we decided to sell, at which point the full horror of this eyesore struck us: Man, this was heinous. Was it always that big, or had it grown larger over time? Sure, we were busy parents with three kids, but come on, why didn’t we fix this sooner? This, too, was sort of sad. Granted, our bathroom looks nothing like what you see on HGTV. The tile is dated and dirty, and the walls are in dire need of a fresh coat of paint. 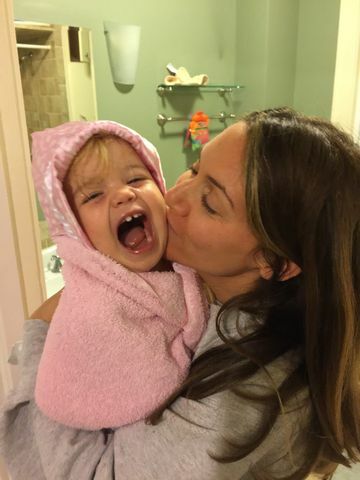 And yet, it’s the bathroom where I spent hours in labor with my third daughter, a space where we dumped all three of our kids for bubble baths, their hair damp and smelling of roses. This bathroom was an intimate place, a personal place, and because of this, it was more special than we ever knew. 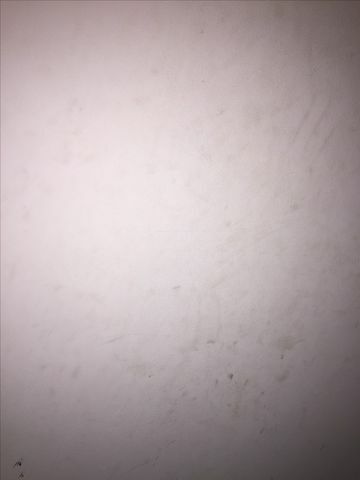 Look closely at the wall below, and you’ll see smudges where my kids stuck their grubby hands—and left a mess that my real estate agent insisted must be painted over. But look! You can almost make out the shape of my baby’s thumb! She’s 4 now. Where will I ever find such beauty again? Each one of those scuzzy black marks is a moment in time my baby’s hand touched that white wall. You say it’s ugly. I say it’s magic. Who wears these shoes? How many people live in our house? A small army? 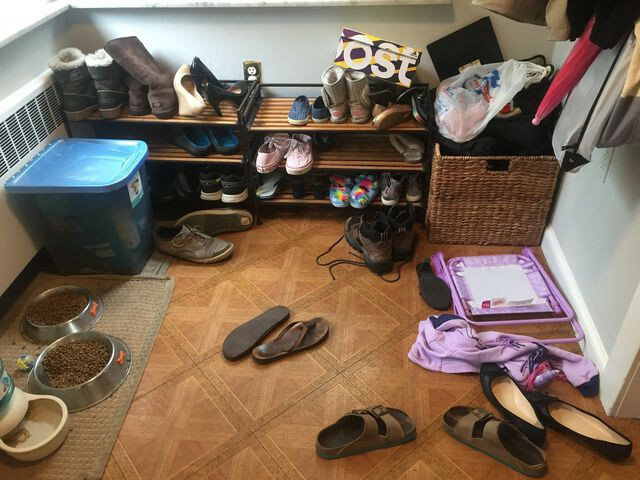 Our mudroom is full to the brink with shoes of people I’ve apparently never met who live in my house. If you see them, can you tell them to put their shoes in their room where they belong? Just prior to showing our home to buyers, we hired cleaners to thoroughly scour the house. And yes, the dust was gross and absolutely had to go. And yet somewhere in that dust was a tuft of hair from our dog, Rocky, who had died just weeks earlier. I realized that once those areas were swept clean, we’d never get those pieces of him back. That dust wasn’t just dust, but the accumulation of life—pets, kids, parents, family—in a home we’d soon never see again. We let the cleaners continue, but not without crying. The post Selling Your Home? Be Prepared to Cry—Here’s Why appeared first on Real Estate News & Insights | realtor.com®.